Wagner Orchards & Estate Winery - Farm Fresh for Healthy Appetites! Apple Picking is over for 2018, Thanks for a great season!! Enjoy wine by the Glass! Stop by the orchard any afternoon or evening for a glass of wine. Our entire farm is now licensed and we invite you to stop by, settle down and enjoy the peace and quiet of farm life. Our road was recently renamed to Lakeshore Rd 103, but most GPS will still refer to it as Concession 8 W.
Our bakery is open for Christmas baking featuring pies, strudels, meat pies, mincemeat pies, cookies and Christmas bread. Ask about our holiday gift baskets - Wine always makes a great gift. Apple or Cherry hams can be ordered (in advance) for the holidays or anytime you are entertaining and would like us to cook for you. Stop in and sample our unique selection of fruit and grape wines. Try Our New Hard Raspberry Cider! Our Winery is open Daily for tasting and purchases. You are always welcome at Wagner Orchards and Estate Winery, a unique family friendly country experience! Come and sample our delicious wines, and our delicious home baked pies. Pick your own apples or relax on our porch. Watch the kids play in the straw. We invite you to visit us to experience Christmas at The Wagner Orchards and Our Estate Winery . We enjoy this holiday season and love to share our enjoyment with our friends and customers. 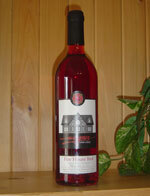 Sample our wonderful wines from The Wagner Estate Winery and sample our delicious Bakery Products . Oh, and while you're here, have a look at our Gift Baskets. We'll custom design a basket for that special someone or to share the holiday joy with your friends, employees, business associates and family members. Looking for an exciting place to host your next event? Give us a call at (519) 723-4807 to learn more!